UC Santa Cruz has received a $560,000 grant from Wells Fargo to develop and launch a new coastal sustainability graduate program and fund coastal sustainability graduate fellowships. The new two-year master's degree program in environmental science and management is expected to launch in fall 2017. The program will train students to take a solutions-based approach to social and ecological challenges in the coastal zone, where climate change is increasing the vulnerability of ecosystems that provide natural resources and services to dense human populations and productive economies. For people to live more sustainably in the coastal environment, solutions are needed that both protect natural ecosystems and provide benefits for human well-being, said Peter Raimondi, professor and chair of ecology and evolutionary biology at UC Santa Cruz. "The core goal of the program is to train a generation of students who have the skills to work at the interface of science and policy," Raimondi said. "A lot of the critical environmental issues in California involve the coastal zone, from the watersheds to the ocean, and this is an area where UC Santa Cruz has a lot of expertise." Faculty in two divisions, Social Sciences and Physical and Biological Sciences, are developing a set of core courses for the proposed graduate program. The Wells Fargo grant will provide fellowships that cover tuition and a stipend (more than $50,000) for four graduate students in each of the first two years of the program. In addition, in each of the two years before the program launches, Wells Fargo is funding partial fellowships ($10,000) for five senior Ph.D. students who are working on coastal sustainability issues. "We already have students who have been doing this kind of thing informally, and this enables us to support them and give them additional training through the courses we are developing for the new graduate program," said Donald Croll, professor of ecology and evolutionary biology, who helped design the program. The interdisciplinary program will combine training in ecology, conservation biology, and Earth and marine sciences with tools and perspectives from economics, sociology, and public policy. 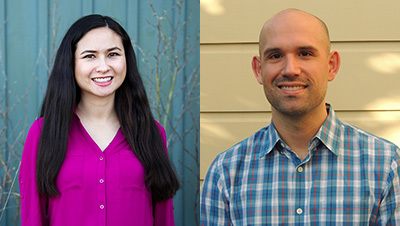 To develop a plan for the program, Croll and several colleagues in ecology and evolutionary biology worked with faculty in the Environmental Studies Department, including Erika Zavaleta and Andrew Szasz. Market analysis from a consulting firm helped guide the plans for the program. "It's clear that there is a great need for people with the kind of training this program will offer," Raimondi said. Szasz, professor and chair of environmental studies, said the interdisciplinary approach is essential because of the complexity of the issues in the coastal environment, which includes agriculture and cities as well as natural ecosystems that cross the interface between land and water. "The flows of water and other resources across what people tend to think of as separate spaces are tremendously complex, as is the whole regulatory structure in place to plan and approve projects and adjudicate between different interests," he said. "Anybody working to apply or improve policies in this area has to understand not just the science but also the regulatory infrastructure of our society." In addition to the two-year master's degree, the graduate program will also provide training to Ph.D. students in relevant fields, adding a designated emphasis in coastal sustainability to their degrees. Recruitment for the program will include strong outreach efforts to students from coastal regions of the United States where there are not only pressing conservation issues and climate adaptation needs, but also large populations underrepresented in the sciences. Students in the program will be required to work with partners outside the university to develop practical solutions to real-world problems. These hands-on projects will engage students in direct collaboration with partners such as government agencies, nongovernmental organizations, businesses, and others addressing coastal sustainability challenges. "The idea is that students will partner with someone who is trying to solve problems, and they'll focus on completing a project to the point of having a product that the partner can use. So they'll get an idea of how the real world works and develop connections with potential employers," Croll said. Wells Fargo's support for the program grew out of interactions that began with UC Santa Cruz acquiring land from Wells Fargo for the Coastal Science Campus, said Paul Koch, dean of physical and biological sciences. "Wells Fargo is committed to advancing environmental sustainability. We recognize the critical importance of the health of our marine ecosystems," said Hope Hardison, senior executive vice president and chief administrative officer at Wells Fargo. "That is why we are supporting UC Santa Cruz's coastal sustainability program and fellowships so they can develop future leaders and environmental problem solvers who can make a difference in the health of our planet." 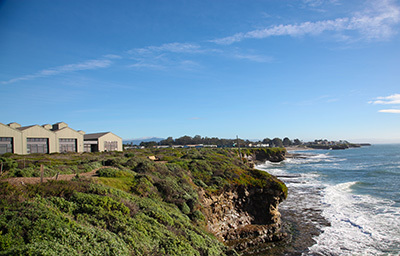 Increasing support for coastal sustainability programs is a signature initiative of the Campaign for UC Santa Cruz, which to date has raised more than $222 million in resources for the campus. "Our goal is to offer fellowships to all students entering the program to ensure broad access," Koch said. "This early support from Wells Fargo will help draw attention to the opportunity to help launch a new and unique program. Graduates of this program will be the environmental problem solvers of the future in California and beyond." 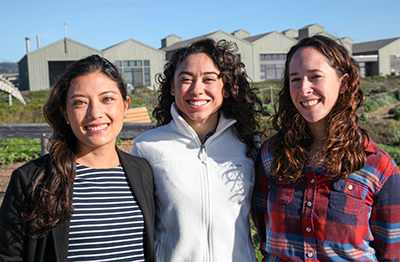 The initial group of Wells Fargo Fellows in Coastal Sustainability at UC Santa Cruz includes graduate students in the Departments of Anthropology, Ocean Sciences, and Ecology and Evolutionary Biology. "These students are keenly interested in sustainability issues and are already working on theses with that orientation," Croll said. "We want this program to produce students who can make a difference, who are working on solutions instead of just describing the problems."